Our limited service hotel has 112 guest rooms and over 4900 sq. feet of meeting space. We welcome travelers, teams, tournaments, meetings and conferences. Our onsite services can make everyones stay enjoyable. We offer a wide variety of room types including, pool side, non-smoking and smokinq, ADA, and pet friendly rooms. The fitness center is well equipped to stay in a routine, the outdoor seasonal pool is a great place to relax and enjoy the sun or family. And the business center is always open for keeping up with work or family while on the road. We do have wireless on the entire property so work or surf from any location. We have 2 food/beverage outlets offering a wide variety of items. Our lounge opens at 5pm with a full bar and food is served until 9pm. Moxie Java is open early for an espresso or a cool Italian soda. There is also on-site catering for events held in our meeting space. 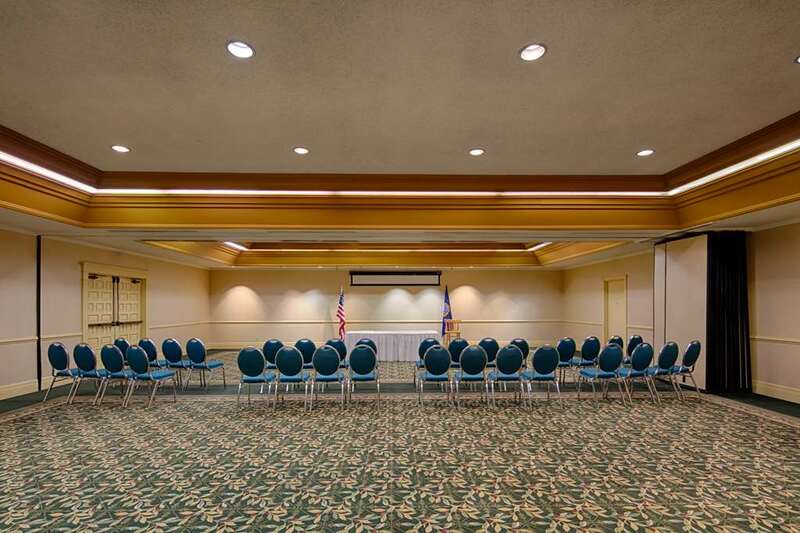 The conference center can host over 200 people for a multi-day conference or a small 4 hour meeting. Our on-site catering can keep your event/meeting moving forward. Contact the sales office for a package proposal for your next event/meeting. While in Twin Falls take advantage of our many sights, watch or participate in an extreme sport or just relax. Nearby attractions are the Snake River Canyon, College of Southern Idaho, Shoshone Falls, Hagerman Valley, and many golf courses. Ask our associates about other local attractions and sights. Sun ValleyFROM HIGHWAY 93 NORTH Cross Snake River Canyon then pass through 2 stop lights the second of which is at the Blue Lakes Blvd Poleline Road intersection. hotel is located approximately .5 mile on the right side of the road.